Guess what? You’re right—you do have an under-performing LMS. It may not have been inexpensive, or easy to set up, but it definitely feels “cheap”—ill-suited to your needs, inflexible, and constantly in need of patches. In fact, by the time you’ve purchased add-ons and developed workarounds, you could have paid a web design firm to build a custom platform—and you will have spent enough to purchase another new LMS service. But, you don’t want more of the same. And you don’t really want to devote months to hiring a designer and waiting for a custom LMS to be built from scratch. The solution is to find an enterprise-grade LMS—a full-featured LMS that works from the start. With an enterprise-level platform you have everything that you need to grow your program successfully on a single dashboard—from analytics to self-service credit certificates for your learners—and you won’t have to purchase a slew of features when your program expands rapidly. Most generic LMS platforms are designed to force users to purchase the features that they need to grow their programs. Want to add video to your activities? That’s an extra feature—and you are on your own installing it and making it work. Have an influx of several hundred registrations and need to import data quickly? 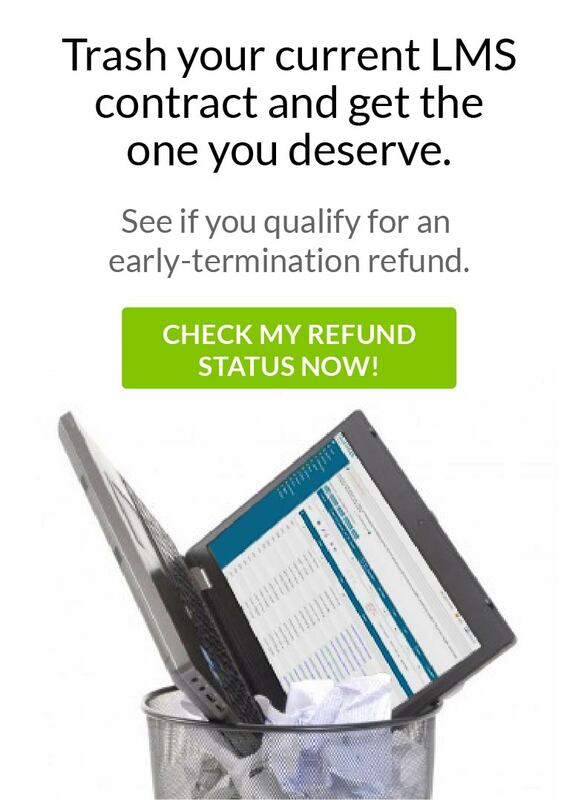 Hope you’ve got plenty of time to wait for a response from customer service. Want to view historical course completion data for the past two years? Time to dust off your calculator and brew some coffee—you’re in for a long week. You need more than an LMS that works, you need a brilliant workhorse that can match the speed of your program’s growth. At EthosCE, we have made our standard features anything but basic. Our platform is built to accommodate a growing enterprise, and that means your LMS toolkit is stocked with everything that you need to scale successfully. We automate data collection from your LMS and selected external sources, eliminating data gaps, and corruption by human error, allowing you access to the full timeline of your course, program, and member data. From video to webinars to animation, the EthosCE LMS simplifies educational innovation, enabling you to easily create learning experiences that meet the unique needs of your students. 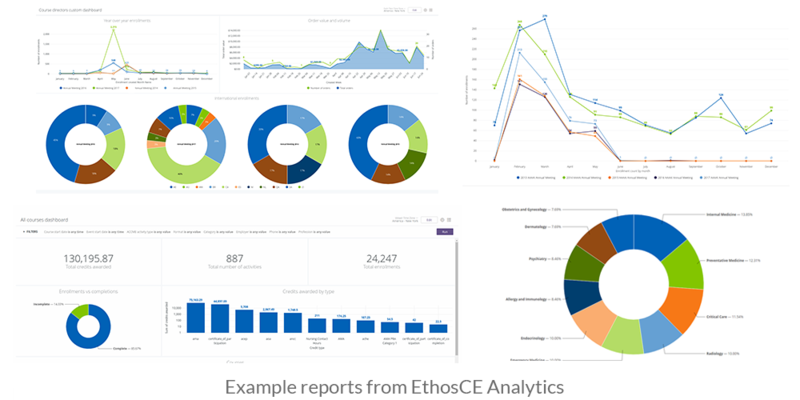 In addition to streamlined JA-PARS reporting, EthosCE Analytics offers optional self-service data visualizations, allowing you to create and share elegant graphic data summaries of key findings with a few clicks. 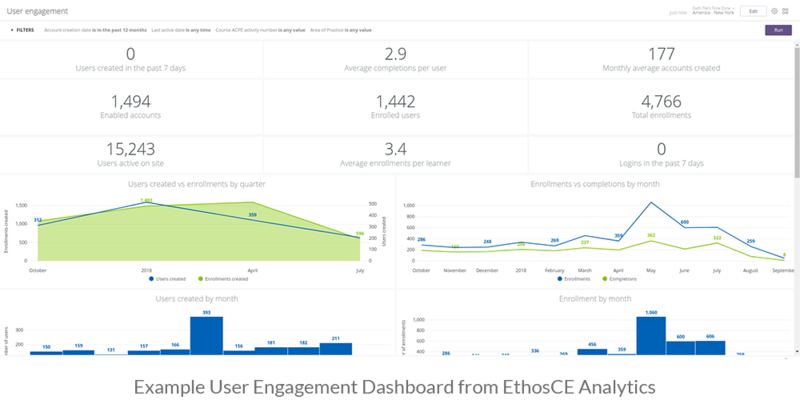 Because EthosCE is an enterprise-grade CME management system, our platform automates essential, time-consuming administrative tasks such as member email reminders, post-assessment feedback, transcripts management, and registration fulfillment. Our LMS is built around the needs of students, with a focus on the kind of learning experience that busy medical professionals require. Our activities components are designed to be easy to navigate for users, with high-impact, customizable content and assessment modules that promote long-term knowledge retention. Unlike some LMS service providers, we don’t give you an allotment of minutes that you can “spend” each year to talk to customer service for “free”. We offer on-going tech support as long as you’re with us—and we don’t put a limit on how many times you can reach out for a helping hand. Automated reporting to boards such as ACCME PARS, CE Broker, CPE Monitor, and more. When your program grows, you may need other services as you reimagine your CME mission to meet new challenges. EthosCE offers a range of consulting and development services with the same great on-going support. From curriculum design to video production, we can provide you with the team that you need to fulfill your creative vision or rebrand an old (but still great) idea. For more than 16 years, EthosCE has empowered intelligent growth for CME programs of every size, providing exceptional support and next generation software that scales beautifully. Our platform combines an intuitive, user-experience focused LMS with an advanced analytics suite designed to accommodate the needs of CME programs at any growth stage. Tired of settling? Let’s make that old LMS go away. We’d like to help you get rid of that LMS you’ve been dying to ditch. Connected with us for a 1-on-1 walkthrough of the process today!